CCTV has been a common fixture in public places for years. Now, thanks to easier installation and falling prices, it’s becoming an increasingly popular choice for security-conscious homeowners. However, it’s not for everyone – only 5% of the 1,292 Which? members we surveyed in 2013 have home CCTV. Cameras can be bought on their own, or as part of a whole security package. You may need extra equipment to accompany the camera, depending on what type you choose, such as connectors and a digital video recorder (DVR) to store and view the footage. CCTV is just one line of defense against crime and works best when combined with other measures, such as a burglar alarm and security lights. If you’re thinking about getting a burglar alarm, Call Now for Your FREE Security System Quote: Louisiana: 318.798.9952 or Texas: 903.553.0022. How home CCTV systems work Wired home CCTV systems These are the most common and cheapest type of camera, where a wire plugs directly from the camera to the monitor. The downside is that the wires, including extension cables and connectors, can be difficult to install. Wireless home CCTV systems With this type of system, images can be transmitted using analogue or digital technology to your computer, tablet or mobile phone. Many smart security cameras link to an app that you can use to monitor your home while you’re out and about. Digital cameras are generally higher quality and can connect to your alarm systems. You can connect to them via your wifi and even see what’s going on on your phone! Alpha Security offers a wide variety of Outdoor home CCTV cameras If you’re using CCTV cameras outside, make sure they’re weatherproof – an IP (International Protection) rating of 66 is recommended. We can position cameras where they can’t be tampered with, but can be accessed for maintenance and cleaning. Indoor home CCTV cameras Indoor CCTV cameras come in three types: wired, wireless and powerline networked (these plug into your electrical sockets and transmit images to a storage device). CCTV footage resolution CCTV camera resolution is measured in lines – the higher this is, the sharper the image will be. The image quality of a camera is also linked to the size and type of chip it uses. Generally speaking, smaller CMOS chips are lower quality than larger CCD ones, such as 1/4″ and 1/3″. Cameras with tiny chips also tend to be able to pick up less light, and therefore produce lower quality images in low light. The light sensitively is measured in lux, which can range from 130,000 to 0.001 lux – the lower the lux the better the camera will record when there isn’t a lot of light. High-quality images – sufficiently clear for someone to be identified – are needed if CCTV footage is to be used as evidence in court. However, for the best detail a high resolution is required – this tends to make the camera more expensive and can take up a lot of storage space. Also ensure that the date and time used to ‘tag’ images is set accurately. Home CCTV features Storing CCTV images. Most home systems use a PC hard drive or standalone digital video recorder (DVR). The main advantage of PC-connected systems is that they often come with software to view the images. Some DVR-based systems also have this facility. Make sure that your system allows you to store images in a widely used format, such as Mpeg, otherwise there may be problems if images need to be downloaded and viewed on other systems, such as those used by the police. In addition, make sure that if you get a camera that can record high-quality images, the PC or DVR can record them. Remote access Some home CCTV systems, such as IP ones, let you check images over the internet using a PC or smartphone. Other options include email or text notifications when cameras are activated. Night vision Monochrome (black and white) CCTV cameras tend to be the most effective in low light, particularly when used with integral infrared illumination – a feature found on some cameras. It’s possible to use CCTV cameras that will film in colour during the day and switch to monochrome when it gets dark. Motion detection Some CCTV cameras have a sensor that turns them on when they detect movement. This can be handy if you want to reduce the amount of footage you’re storing. For more information on CCTV please call Louisiana: 318.798.9952 or Texas: 903.553.0022. 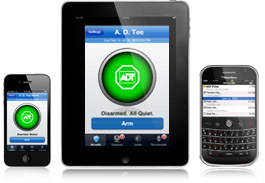 Next Is Your Home Burglar Proof for Back to School?